It's coming up to party season and most of us will be on the hunt for the perfect party dress (for which I will post about in due course so keep your eyes peeled!) 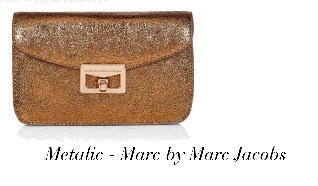 but what is the perfect accompaniment to the party dress...the clutch bag. Is it secure? Clutch bags tend to be pretty and delicate, which sometimes results in them not being too reliable at holding your valuables. Try picking one that has a zip fastening or clasp mechanism to ensure items wont fall out. How big do you want it to be? Recent trends has seen an increase in oversized clutch bags such as the 'envelope' bags, but even these bigger clutches can still be a bit impractical if you're going to be on your feet most of the time, make sure you pick a size that is best for you. How many outfits do you ned it to match? Ensure that it will fit it's purpose, whether that's to accompany one outfit or several, it needs to be just right! Here is an example of the 'envelope' clutch bags. This one is from Marni available at net-a-porter. Most of us usually buy the dress and then the bag to go with it, but don't be afraid to go against the grain and splash out on the bag first. Your clutch bag can be your statement item that will make your outfit stand out, those of you who prefer to play it safe with the dress can afford to go all out on the clutch bag!